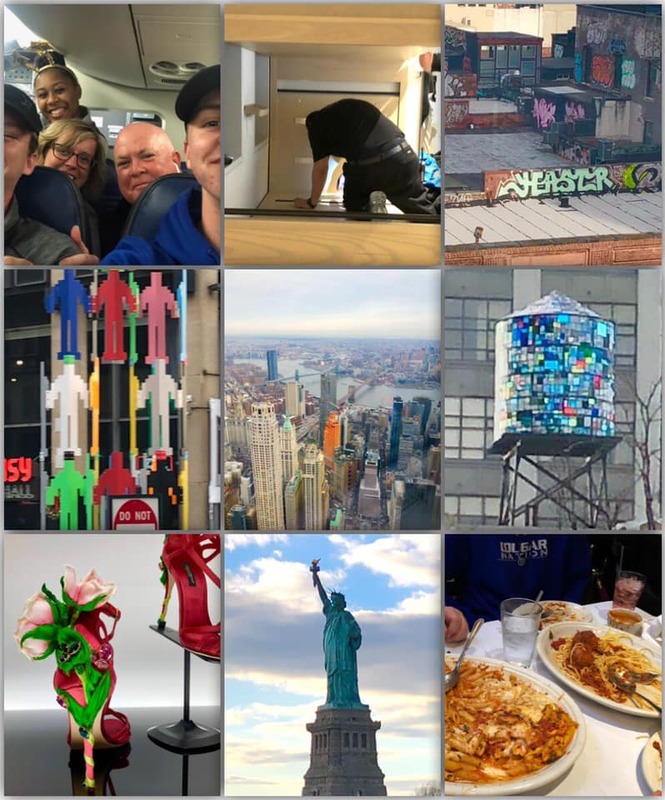 To start this year off my family and I took a trip to New York, and not only the memories that we made together but the city itself will always be a part of me. Our trip started off with a selfie on the plane before take off that included a innapropriate jester by one of my boys(boys!!!!! ), to the most adorable but very tiny hotel room, to bathroom doors with only frosted glass(oh my), to a dropped cellphone that warranted the bed to be taken apart by maintenance, then dumb and dumber, the most amazing food ever (Carmine’s was our favorite), a spilt bowl of soup, the 9/11 museum, and all of New York.